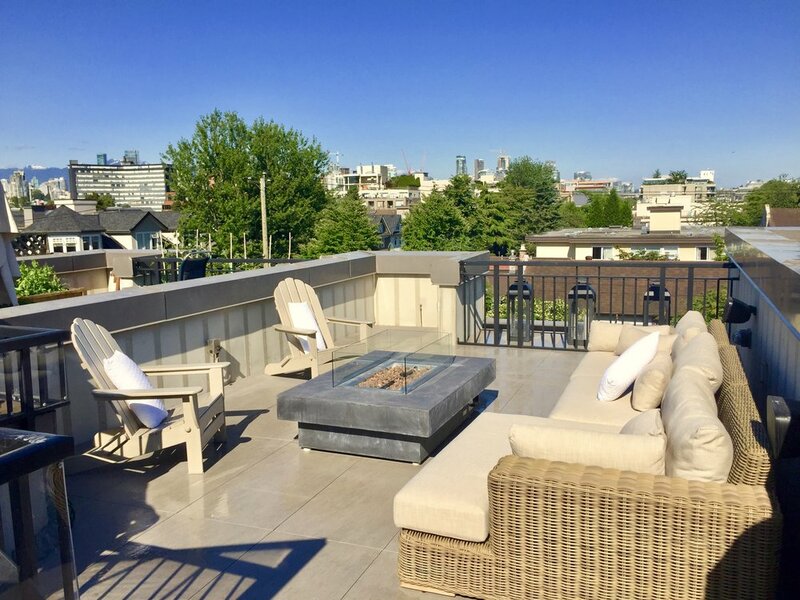 Heilman Renovations was hired to install porcelain tiles on this Vancouver rooftop deck. To install porcelain tiles on this rooftop deck its important to ensure everything is perfectly level. 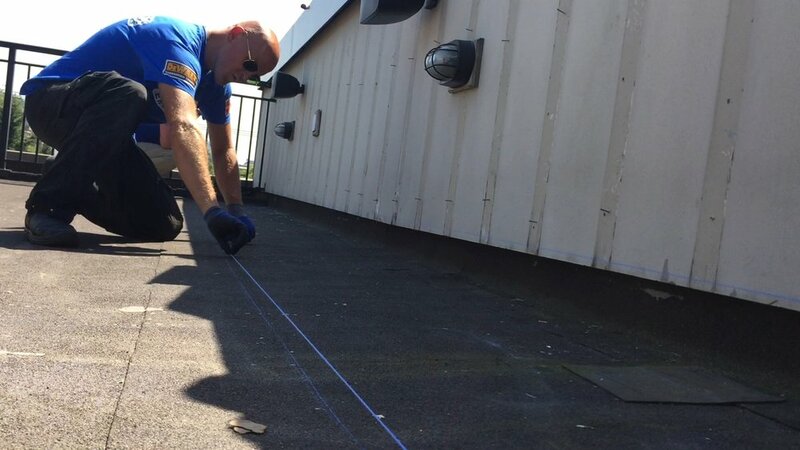 First we start by chalking a line on the rooftop deck to ensure everything is straight. Here we are installing BlackJack Pedestals by Abbotsford Concrete Products. Here we are cutting The Aristokrat® Series 2cm HydraPressed Porcelain Slabs by Abbotsford Concrete Products. Here we are installing The Aristokrat® Series 2cm HydraPressed Porcelain Slabs by Abbotsford Concrete Products. Joe Heilman is cutting The Aristokrat® Series 2cm HydraPressed Porcelain Slabs by Abbotsford Concrete Products with a grinder. 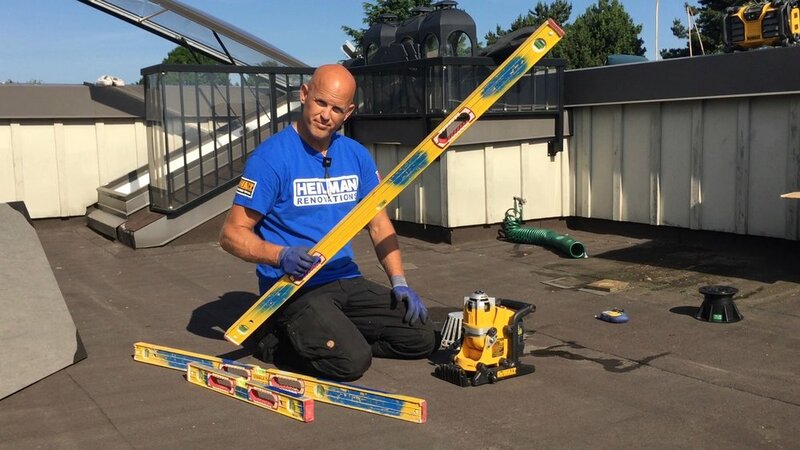 Heilman Renovations crew is installing the Aristokrat® Series 2cm HydraPressed Porcelain Slabs by Abbotsford Concrete Products to fit precisely around the corners of this rooftop deck. 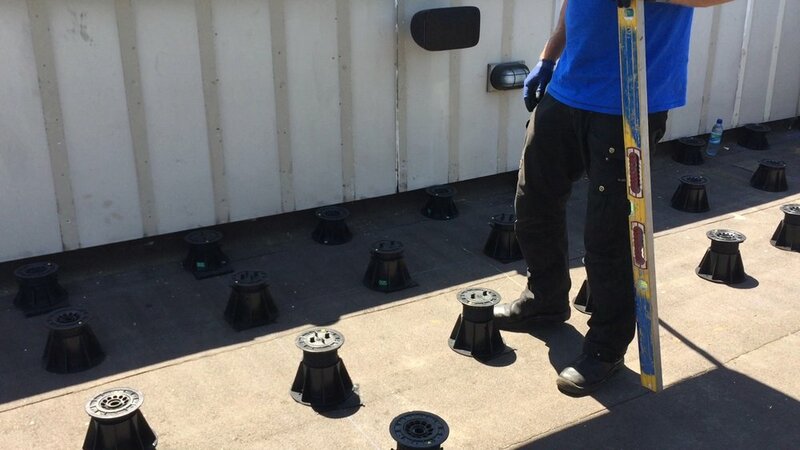 Heilman Renovations crew uses suction cups on The Aristokrat® Series 2cm HydraPressed Porcelain Slabs by Abbotsford Concrete Products on this rooftop deck. Heilman Renovations completed this rooftop deck overlooking Downtown Vancouver with The Aristokrat® Series 2cm HydraPressed Porcelain Slabs.